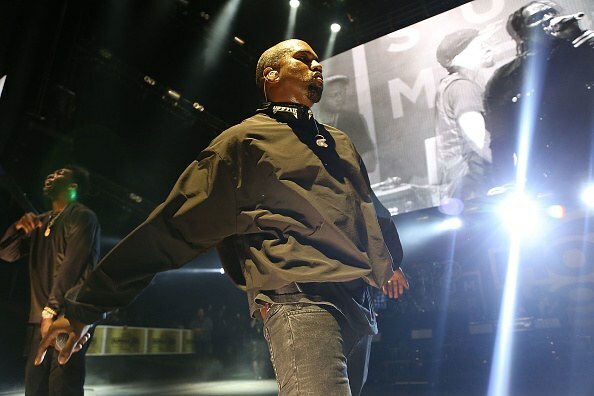 On Monday, Kanye West scored another career milestone, surpassing Michael Jackson on the list of artists with the most Top 40 hits on the Billboard Hot 100 of all time. According to Billboard, West landed his 40th Top 40 single as a featured artist on ScHoolboy Q's "THat Part" from his recent album Blank Face LP. West is still behind Jay Z, Lil Wayne, and Drake on the list of male artists with the most Top 40 hits of all time. Elvis has the most Top 40 hits of any male artist with 80.